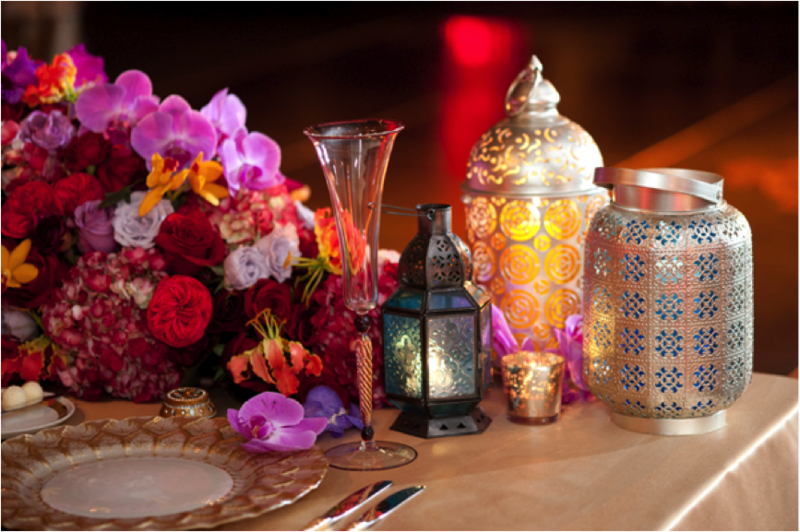 Want your guests to experience a destination wedding without having to leave the country? 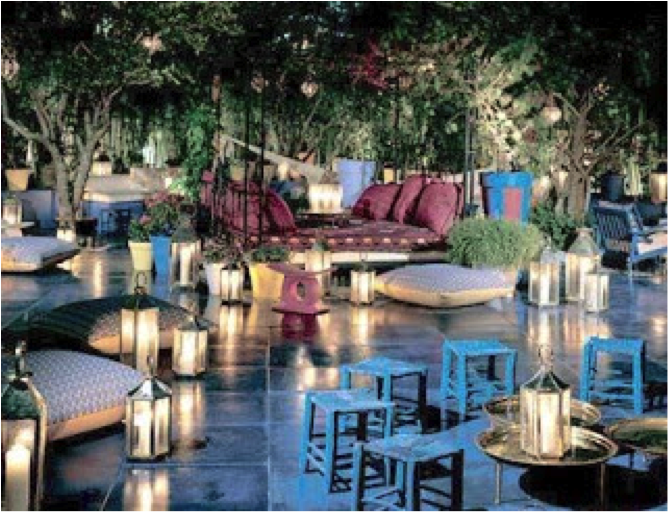 Moroccan themed décor may just be your answer. 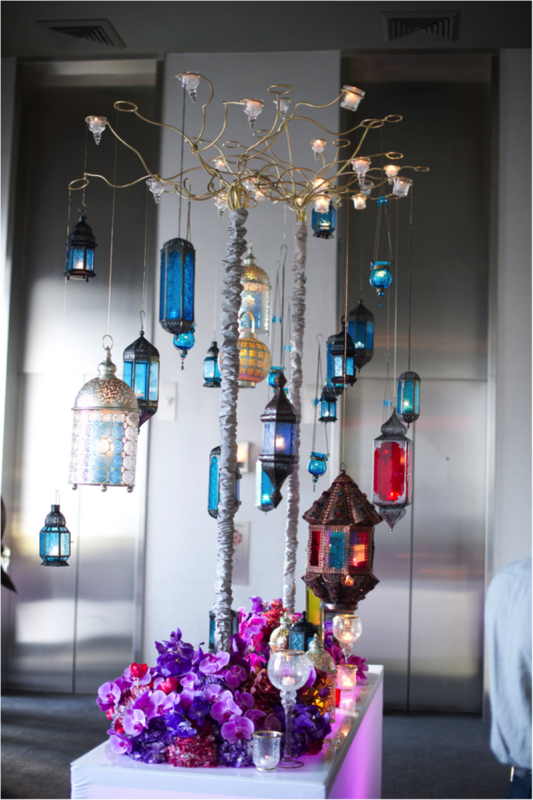 Glowing lights, bazaar-inspired details and infused pops of color will transport your guests to North Africa as soon as they enter. 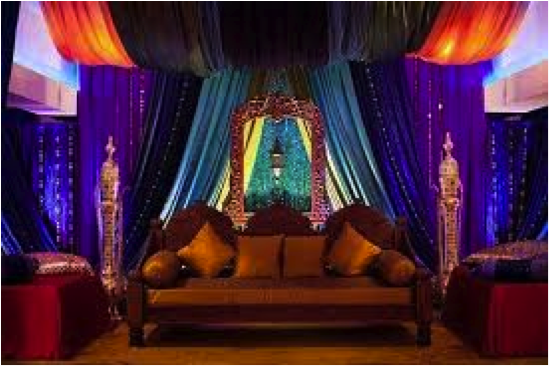 To really heighten all of the senses you can even go so far as to adapt your catering and entertainment to increase the impression of being in enchanting Morocco. 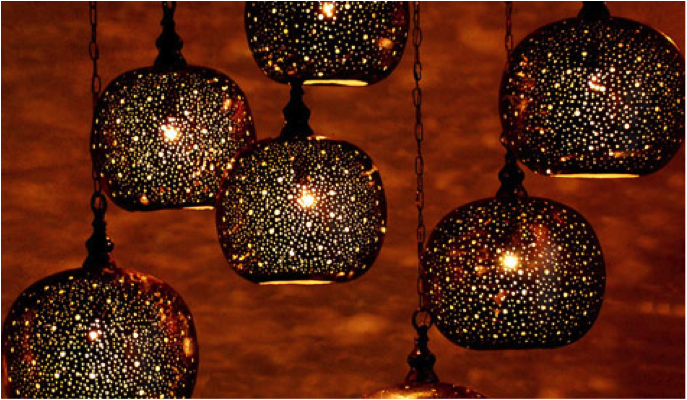 Lanterns –these eye-catching pieces can be great incorporated into a stationary centerpiece or even hanging from the ceiling to create an atmospheric glow. 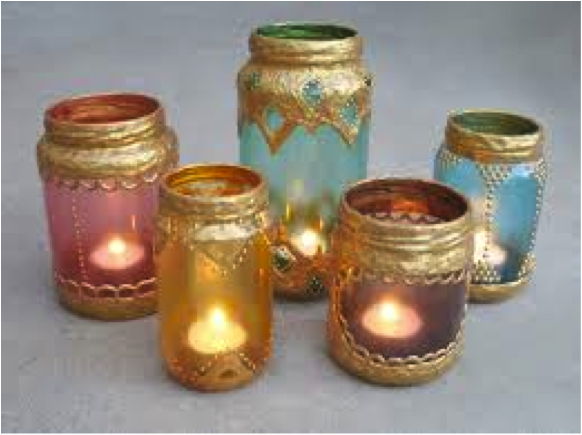 Candles – colorful candle holders make for a beautiful addition to any table; try placing scented candles inside for an even more authentic effect. Fabric – it wouldn’t quite be Morocco without displays of lush, colorful fabrics. 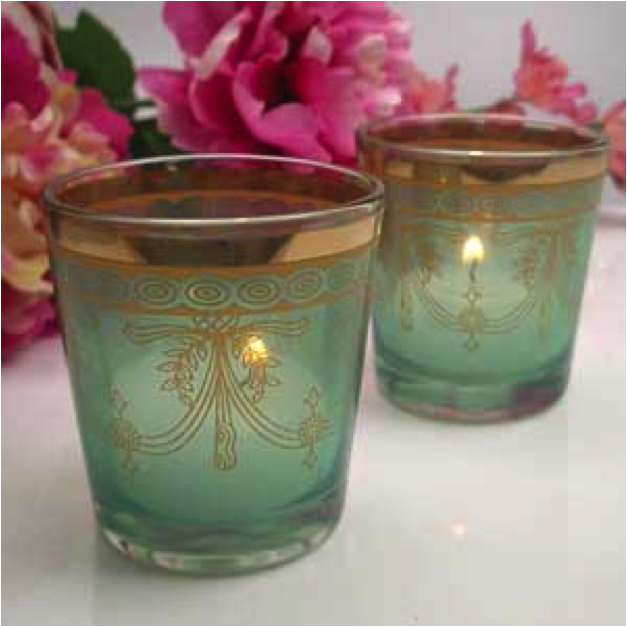 Be it silky draping or cotton cushions, this is one aspect that you really don’t want to forget. 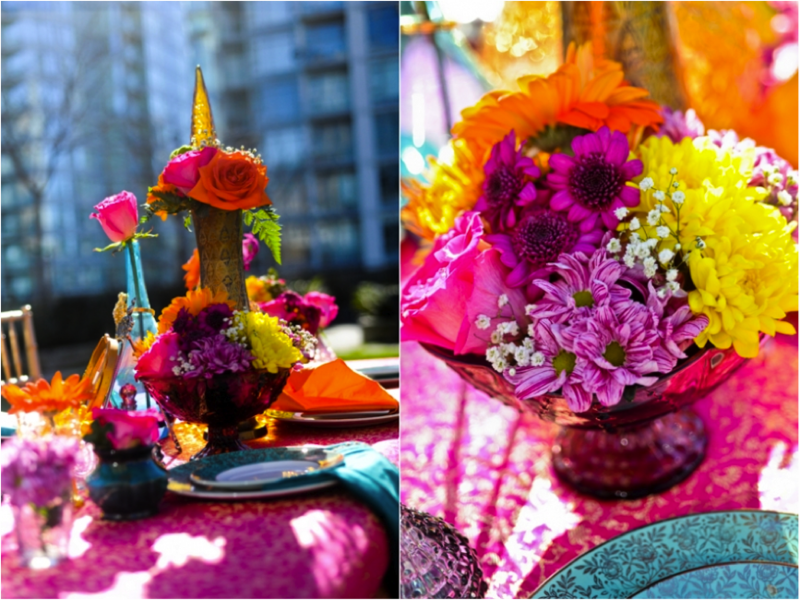 Flowers – the great part about a Moroccan themed event is the abundance of color! 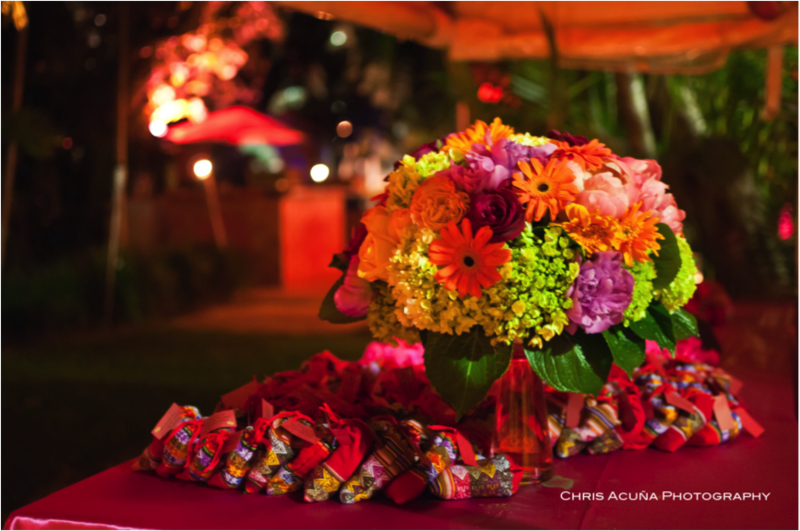 Be daring and pair mismatched flowers of differing shades in the same arrangement or scattered around the space, no need to be afraid of clashing!